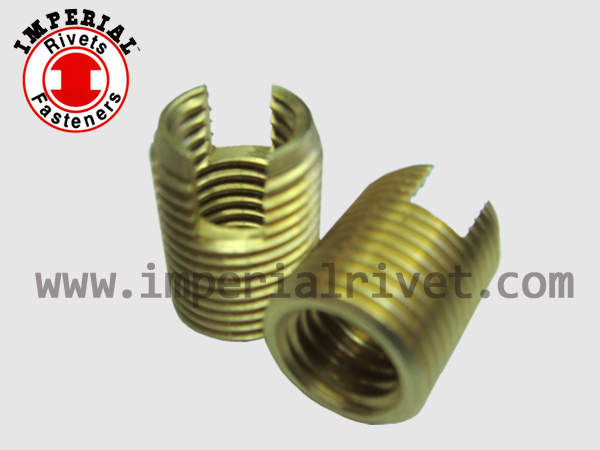 Self Tapping Threaded Insert Slotted-IMPERIAL RIVETS & FASTENERS CO.,INC..
2.DESIGNED TO REPLACE SPRING COIL. 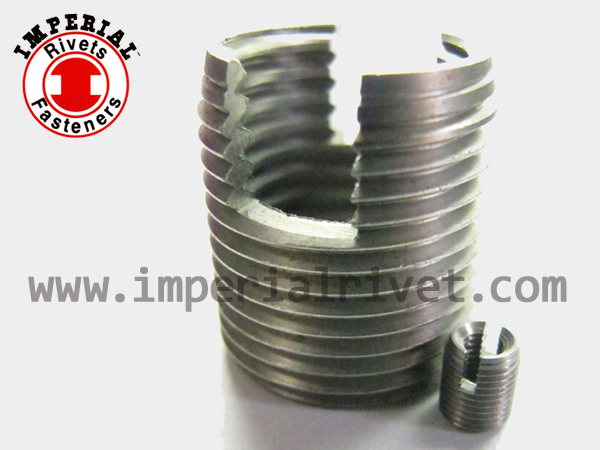 3.PROVIDE STRONG THREADS FOR WEAK MATERIAL LIKE ALUMINUM OR PLASTIC. 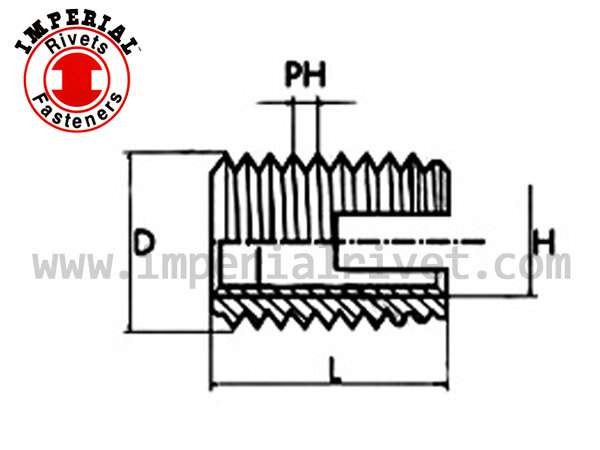 4.ABLE TO INSTALL FOR VIBRATING ENVIRONMENT. 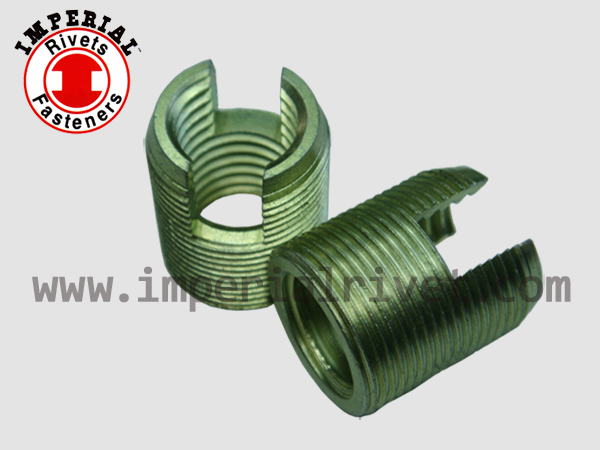 1.CAN BE APPLIED TO DIFFERENT MATERIAL SUCH AS PLASTIC, ALUMINUM, CAST IRON. 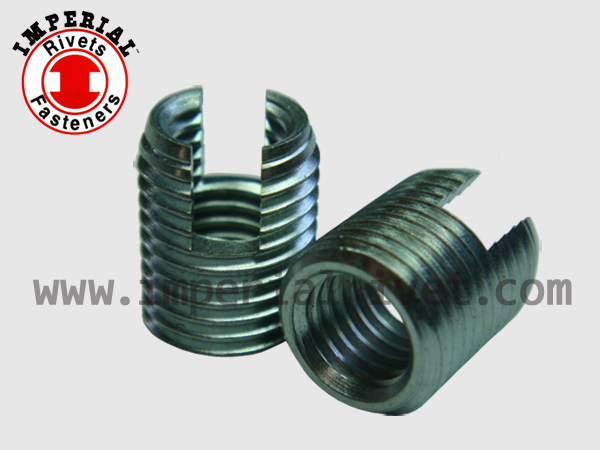 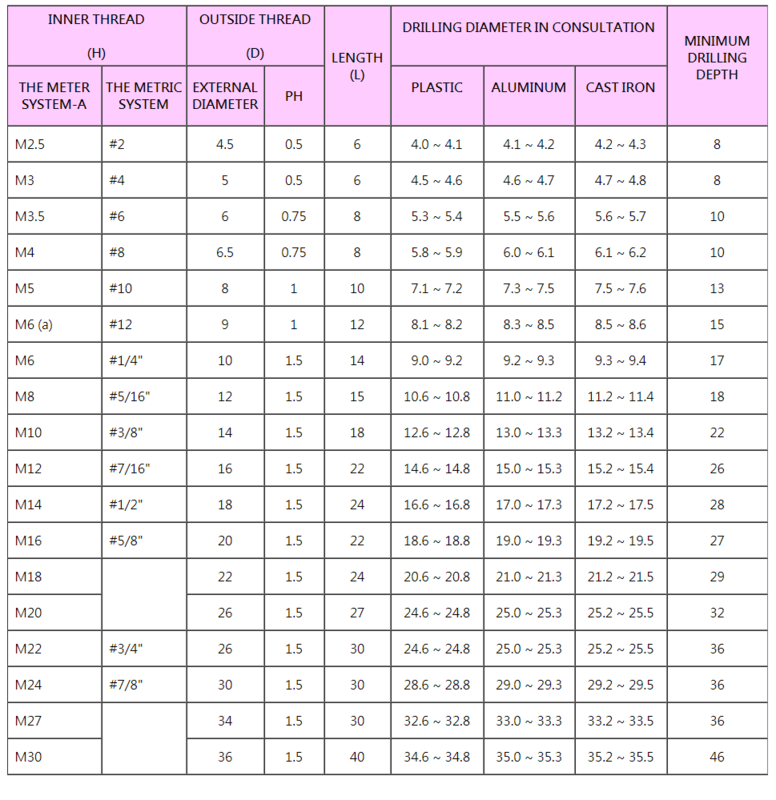 2.DESIGNED TO APPLY IN WEAK MATERIAL WHERE THREADS ARE FRENQUENTLY USED.